Good insulation is important to create a warm, comfortable indoor atmosphere and a well-insulated building will also use less heating energy, meaning both cost-effec­tiveness and environmental respon­sibility are enhanced. To further add to the desirable money-saving qualities Twistfix are offering a FREE alignment tool worth £38.50 when you spend £200 (plus VAT) on our Super-7 Warm Roof Fixings for over-rafter insulation throughout April 2013. Super-7® warm roof fixings are designed to securely fix Rockwool, Kingspan and Celotex insulation products over the top of pitched roof rafters. The twisted nail has been expertly engineered by Thor Helical in Hampshire to offer optimum performance that is far superior to alternative helical fixings thanks to its high levels of robustness. 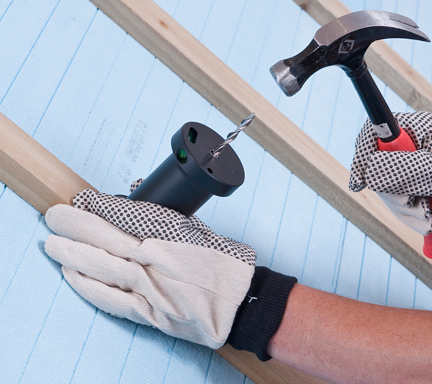 With a cross sectional area in excess of 20% greater than that of the Inskew 600 fixings, Thor Helical Super-7® warm roof fixings are dramatically stiffer, increasing resistance to sliding loads and reducing costs due to the lower amount of nailing required when insulation boards are fixed between rafters and counter-battens. Extensively and independently tested, Thor Helical Super-7® warm roof fixings easily meet the technical requirements of the NHBC when they are used with the information provided by HeliCalc, a design method approved by the BRE. HeliCalc makes its calculations using the results of independent tests which have been carried out solely upon genuine Thor Helical 7mm products. As such, HeliCalc should not be used to make calculations regarding other types of helical nails. The correct quantity and size of Super-7® warm roof nails can be calculated online at www.­helicalc.­co.­uk and these results will ensure that the project adheres to applicable Euro-codes and BS 6399 (Part II and III). 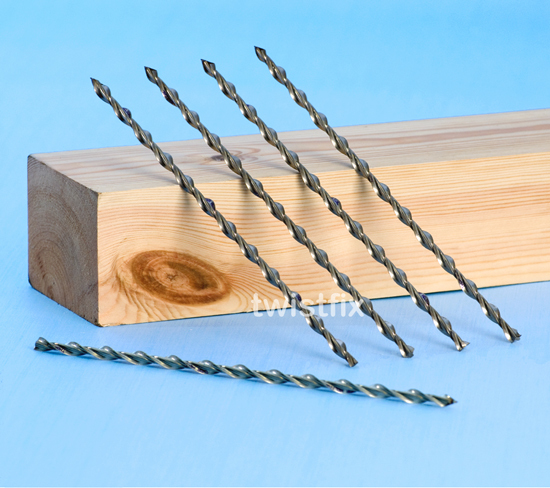 Twistfix supply Thor Helical warm roof fixings in packs of 50, in sizes ranging from 130mm-240mm. As always, the Twistfix price is guaranteed to be among the most competitive available. For more information on warm roof fixings or any of the range of Twistfix insulation fixing solutions, please contact our dedicated customer service team on 0845 123 6006 or email sales@twistfix.co.uk.